Would you rather play Sudoku? In brief: Like going to the gym, eating a meal in a restaurant, and the kids’ first day back at school, people love to post photos of their vacations on social media. 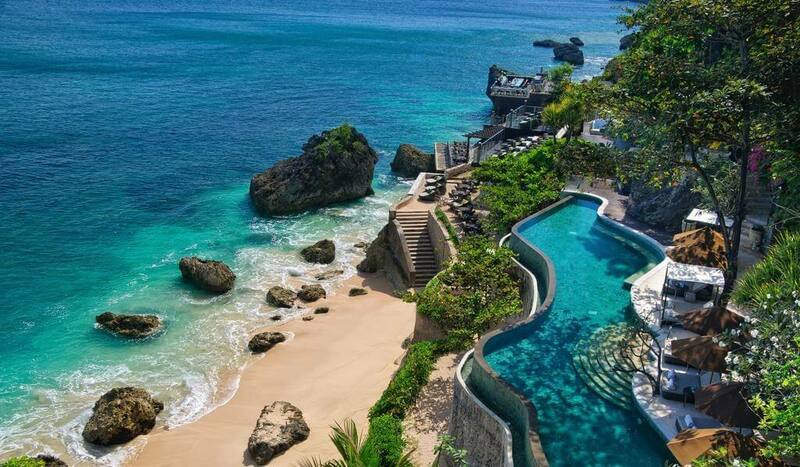 But one resort on the Indonesian island of Bali is encouraging guests to focus solely on relaxing by implementing a digital detox: the banning of all electronic devices at the poolside. While vacations are supposed to give us a break from work, Facebook, emails, etc. many struggle to put down the phone or laptop while they’re away. According to a OnePoll survey, 20 percent of Americans said they checked their handsets once per hour during their most recent vacation. As reported by Lonely Planet News, Bali’s Ayana Resort & Spa is forcing visitors to disconnect from the digital domain through its ‘In the moment’ campaign, which states that all electronic devices, including smartphones, cameras, and laptops, are banned from its ‘River Pool.’ The restriction is in place from nine in the morning until five in the evening. In addition to all the new signs advising guests of the rules, the resort has introduced lockers so people can secure their devices. For those who crave more than just reading books, “old fashioned games” like chess, cards, sudoku, and Jenga are available on request. Maybe it should consider the new Game of Thrones Monopoly, too? There’s also opportunity to alleviate the boredom by getting drunk on the resort’s ‘In the Moment’ cocktail. For a lot of people, sharing photos and updates on social media has become a major part of any vacation. On the flip side, bans like this could be the answer for anyone who wants to switch off but finds it hard to step away from the screen.